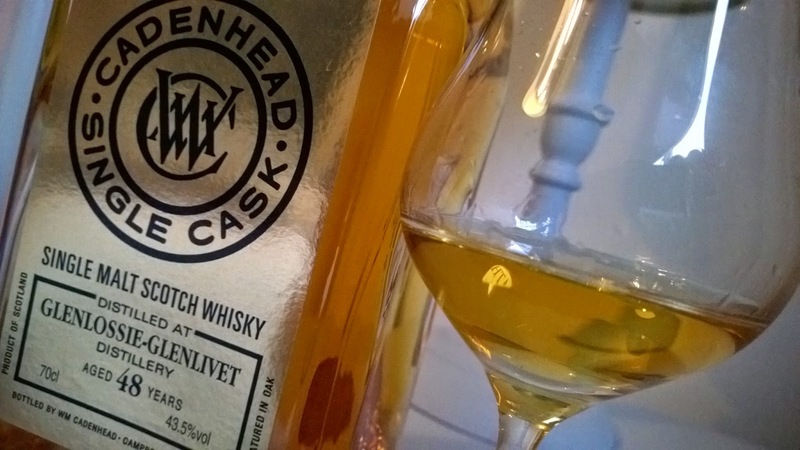 It's been a stellar year from Cadenhead's with several memorable releases across their various ranges and not forgetting their shop cask options I've enjoyed. It's not all over yet, as I still have some purchases from 2014 to get around to reviewing including this bottle. Now for those unaware when Cadenhead's place a golden label on a bottle then this is something special; their cream of the crop or gold standard. We're force fed information nowadays that age statements don't matter and that's open to debate. Aged whiskies are set to become scarce and increasingly expensive. For malt enthusiasts we're often rumbling around the teens and into the twenties. Anything beyond is a treat and surpassing the 40 year benchmark is a very special occasion. For the record I've experienced whiskies from bygone era's but not an example that has enjoyed 48 years maturation. 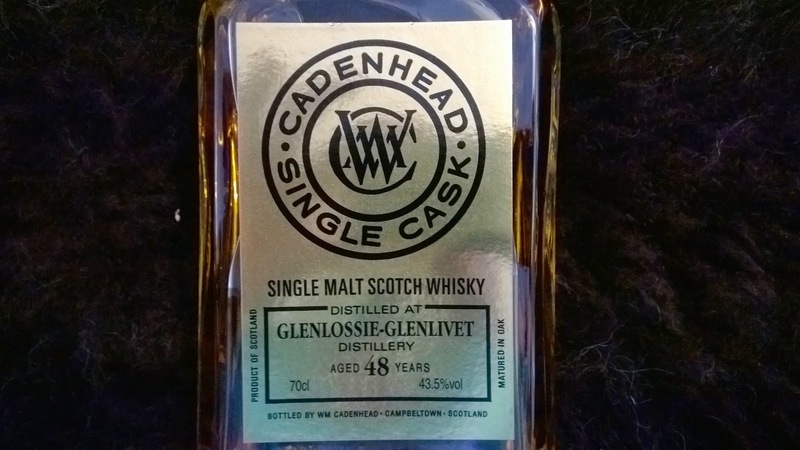 My previous best was a Glenlivet 43 year old released by Cadenhead's in 2013. On that occasion, I felt the wood had taken over too much and the whisky had stepped away from its summit. Now we're going to try again with a much older whisky originally laid down in 1966. Incredible. Nose: sliced apples, crushed almonds, a touch of cinnamon and those lovely Portuguese custard tarts fresh out of the oven; perhaps that's where the cinnamon comes in as you sprinkle a little on top. Now this has been sitting for a while as I often find that older whiskies need a little coaxing and relaxation to open up. So despite a long period covered in the glass, we'll try a little addition of water via a pipet and see what that reveals. More fruit juices with pears and apricots now. An old school whisky nose without question. Taking me back to the lovely George Strachan Rosebank I tried earlier this year; a style of whisky that is distinctive and rarely seen nowadays. So rich and layered, this is a tremendous nose. Taste: those fruits carry onto the palate resulting in a juicy cascade of sweetness. Retrained yet prolonged, a lovely sugar coated grilled pineapple finish. A touch of smoke like all the old whiskies from a bygone era seem to possess. I attended a Jolly Topper tasting recently where this received a mixed reaction from the crowd. Perhaps it wasn't an ideal environment? Sitting here at home I can now appreciate how gentle and refined this example is. An elder statesman with an impressive dignity, this doesn't offer huge big blockbuster flavours forgoing such characteristics for a truly memorable old style whisky experience.